For most attorneys and advocates a large portion of their day is spent on document creation. Dictation is a crucial part of this process as you are able to record everything you want to say and then be able to have that types up into the necessary text document. But what if that process could be further enhanced to save even more time? 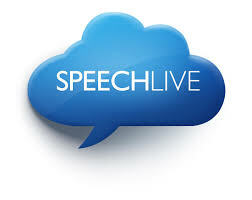 Utilising the Philips SpeechLive service to assist with document creation via speech recognition is just the solution. Scandinavian law firm Nordia has sped up document creation times by using speech recognition by Philips SpeechLive. In combination with PocketMemo voice recorders, this helps Nordia lawyers optimising their customer service. “Working with Philips SpeechLive is convenient. Plus, it is a very reliable system”, Mr. Fridén (partner at Nordia since 1987) explains, before he mentions another advantage of the system: “My secretary only needs to do the formatting and proofreading of documents delivered by Philips SpeechLive, which can be facilitated in an easy and fast way.” Nordia was able to significantly streamline their dictation workflow, which subsequently allowed them to save their valuable resources. The lawyer points out: “I can see clearly that Philips SpeechLive helps me to save time and money. My clients have noticed these optimizations as well, because I get things done faster now. They cherish receiving results even quicker and more accurate now than before”. About six years ago the law firm Nordia changed from an analogue dictation workflow to a sophisticated digital dictation workflow by Philips. In regards to document turnaround time, this has been the first big step towards a contemporary document creation process that is appropriate for a company such as Nordia. The next step took place in November 2016: integrating speech recognition provided by Philips SpeechLive lifted the standards even more and helps the lawyers at Nordia face increasing demands in a quickly evolving work environment.